Like choosing the right orthodontist, choosing the right type of braces can be confusing. There are many options and many opinions available online and when you speak with friends. Knowing which one is right for you and your family is one of the most important decisions you can make because it can have a lifetime of impact. Many orthodontists use Damon braces, but few have Dr. Kimball’s experience and knowledge. All you have to do is look at the smiles Dr. Kimball creates to know that treatment from Kimball Orthodontics is in a class of its own. You can see the difference in every unique, glowing smile. Dr. Kimball is a 5-star provider of Damon braces in Laguna Niguel, CA and Laguna Beach, CA. Damon braces from Dr. Kimball is more comfortable and requires fewer office visits. However, what really sets this approach apart from other metal braces or clear ceramic braces is the elimination of brace tightening. We talk a lot about Damon braces here at Kimball Orthodontics. That’s because, in the right hands, Damon is an amazing tool. While there are other doctors offering Damon braces in the South Orange Country area, none have Dr. Kimball’s experience. Damon clear braces offer all of the benefits of the Damon system using a remarkably clear bracket. It’s a great option for anyone wanting the broad, wide smile Dr. Kimball is known for but doesn’t want to draw attention to the fact they are in treatment. Learn more about how Damon braces in Laguna Niguel & Laguna Beach, CA, and Dr. Kimball’s expertise can bring your smile to the next level. To schedule your free Kimball Smile Analysis, click here or call 949.363.3350. We look forward to meeting you! *The reviews listed are from actual patients of Kimball Orthodontics. Individual results may vary. Reviews are not claimed to represent results for everyone. 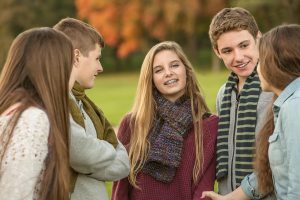 Dr. Kimball, our Laguna Niguel, CA orthodontist and Laguna Beach, CA orthodontist offers the most advanced braces for children, braces for teens and braces for adults. These types of braces include metal braces, Damon clear braces, Damon braces and Invisalign. We can even help you get straight teeth faster with Propel and AcceleDent. Come experience Kimball Orthodontics! You will see we offer effective and affordable braces in Laguna Niguel, Laguna Beach, Aliso Viejo, Dana Point, San Juan Capistrano, San Clemente, Laguna Hills, Lake Forest, Mission Viejo, Ladera Ranch, Corona Del Mar, Newport Beach and El Toro, CA. Call (949) 363-3350 today for your free consultation for braces at either our Laguna Niguel orthodontics office and Laguna Beach orthodontics office.